REJOICE! The children are back in school. For those who live to read...here are some awesome books provided by the incredible authors who wrote them. All in celebration of the new school year. While a few of these books might be oldies, but goodies...others could be new and fresh off the presses. Relax and find your new favorite author. Historical in traditional literary terms is when the plot takes place in a setting located in the past. Historical fiction can be an umbrella term; though commonly used as a synonym for describing the historical novel; the term can be applied to works in other narrative formats, such as those in the performing and visual arts like theatre, opera, cinema and television, as well as video games and graphic novels. Please enjoy these books that focus on history and all the sub-genres. The list is available in alphabetically order by title. Don't forget to enter the Rafflecopter for a chance to win an Amazon Giftcard. Following the disastrous defeat of the clans at Culloden, Scottish Chief’s son Diarmad Ramsay makes his dying father a promise. Diarmad will play the part of Bonny Prince Charlie in an effort to help the true Prince escape the Highlands. With only the fiery Mara MacIvor for guide and with danger on his heels, he must risk all for a Cause in which he no longer believes. Mara MacIvor considers Ramsay a poor substitute for her beloved Prince. Ramsay may be one of the bonniest men she’s ever met and a braw sight with a sword in his hand, but his disillusionment makes a wide gulf between them. Pursued through the Highlands by Sassenachs and ruthless Highland renegades bent on claiming the price on Prince Charlie’s head, their physical attraction soon becomes a conflagration. But will they ever be bound by more than Diarmad’s vow of honor? When exiled royalty and espionage combine, expect a romance as bold as the 1920s . . .
Olga Novikov is a princess without a throne. Her fiancé and her family slain in the revolution, she flees Russia and finds herself working as the head of housekeeping at London’s luxurious Grand Russe Hotel. It’s a far cry from the glamour of her former life, but she’s grateful for the job—until a guest forces her to question where her loyalty lies. The charming nobleman challenges her at every turn—and arouses dreams of romance she thought she’d abandoned forever . . .
Douglas “Glass” Childers is living a double life. On the surface, he’s the indolent Viscount Walling, but in truth he’s an intelligence agent searching for a Bolshevik weapons master. The coolly beautiful and headstrong housekeeper is a distraction he doesn’t need—unless she’s the key piece in the puzzle he must solve. Trusting her could be dangerous—but loving her is an undeniable temptation . . .
How hard would you fight for a chance at impossible love? “Epic.” ~ Drue’s Random Chatter Reviews. From the critically acclaimed, award-winning pen of Kim Iverson Headlee comes the thrilling, poignant tale of love across a vast social divide. WINNER, 2015 BooksGoSocial Best Book. Betrayed by her father and sold as payment of a Roman tax debt to fight in Londinium's arena, gladiatrix-slave Rhyddes feels like a wild beast in a gilded cage. Celtic warrior blood flows in her veins, but Roman masters own her body. She clings to her vow that no man shall claim her soul, though Marcus Calpurnius Aquila, son of the Roman governor, makes her yearn for a love she believes impossible. Groomed to follow in his father’s footsteps and trapped in a politically advantageous betrothal, Aquila prefers the purity of combat on the amphitheater sands to the sinister intrigues of imperial politics, and the raw power and athletic grace of the flame-haired Libertas to the adoring deference of Rome's noblewomen. When a plot to overthrow Caesar ensnares them as pawns in the dark design, Aquila must choose between the Celtic slave who has won his heart and the empire to which they both owe allegiance. 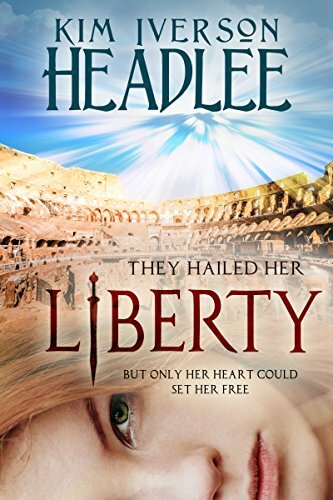 Trusting no man and knowing the opposite of obedience is death, the only liberty offered to any slave, Rhyddes must embrace her arena name, Libertas—and the love of a man willing to sacrifice everything to forge a future with her. Throughout history, women have been susceptible to their charms. Share the adventures of a few of the more memorable ones in this collection of historical tales written by award winning authors Taylor Lee, Suzanne Jenkins, Dani Haviland, Michele Hauf, and Katy Walters. 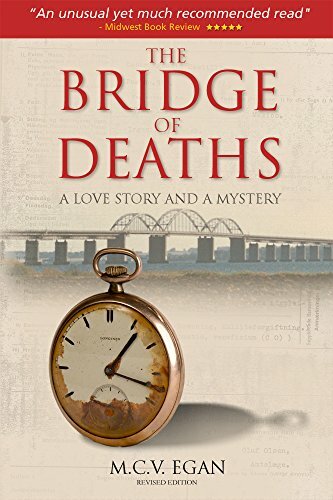 Follow Bill and Maggie from 2010 to 1939 cross The Bridge of Deaths into the past and uncover the secrets of the crash of British Airways LTD. Lockheed Electra10A G-AESY. August 15, 1939. True events and real people investigated through conventional and unconventional sources in Denmark, England, Mexico and the United States. The reader feel that he/she is also sifting through data and forming their own conclusions. London-hating dreamer, Lydia Norwood, has failed spectacularly as a débutante. Now an encoretante whose family has lost a fortune, Lydia discovers that the beau monde is hard on a nouveau riche social climber, particularly one who is no longer riche and only wants to climb trees. Lydia must stave off the effrontery of rogue lords and conniving competitors long enough to make a good match, or else incur society's scorn by by being so scandalous as to earn her own money. Falling for the unattainable Lord Aldley is a distraction she cannot afford. But they share such an enchanted history, how can her heart resist? The tragically virtuous Earl of Aldley is tired of ambitious families hurling débutantes at his head, but cannot hide in France forever. He returns to London to seek out the mysterious tree-climbing girl who once saved him from a scheming chit, and finds more than he bargained for. Abductions, seductions, trickery and injury all endanger Lydia, but Lord Aldley's heart is imperiled beyond rescue. He has only just found her; will he lose her forever to his enemy, his best friend, or his own dangerous mistake?